2089 Westdean Crescent. 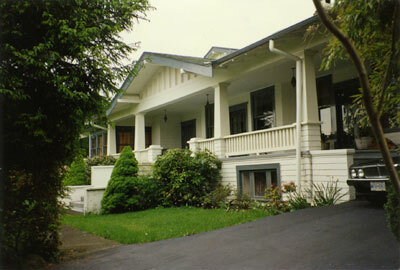 Home built in 1913 for Spencer Family, owners of Spencer's Department Store in Vancouver, which became Eatons'. Son - "Dean" - origin of street name "Westdean". 3,000 square foot house, panelling inside. Photo donated by Sheena Vennesland, Sutton Group Realty. 26 May, 1991. Scanned July 2011 using Epson Perfection V700 Photo at 300dpi and 100% of original image size. Alternate Versions: Lossless TIF from original scan at 300dpi and 100% of original print. W15 x H10 cm colour print on photo paper.